In less than a week I’m heading back down to my red house for a binge of house projects and cat cuddling. There might be something wrong with me–I daydream about patching walls and painting ceilings, hanging pictures and polishing floors. I’m also longing to get an armful of chubby cat(s). A warning to our Instagram followers: expect a flood – biblical in scale – of cat photos next week. I know it will take at least a couple of days before my brain recalibrates and I realize that images of Dean sleeping in eight slightly different positions are not as brilliantly adorable to everyone else, no matter what filter I use. 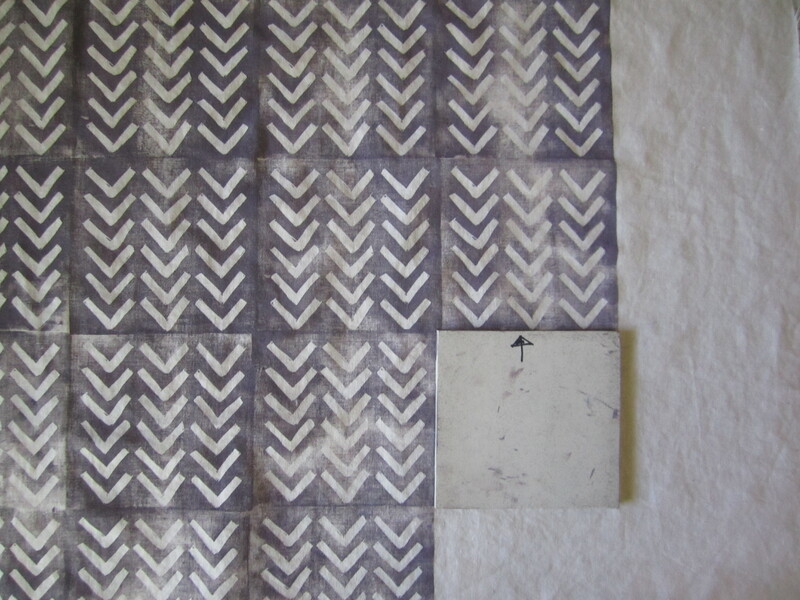 As many of you know, I’ve been on a block printing tear lately. 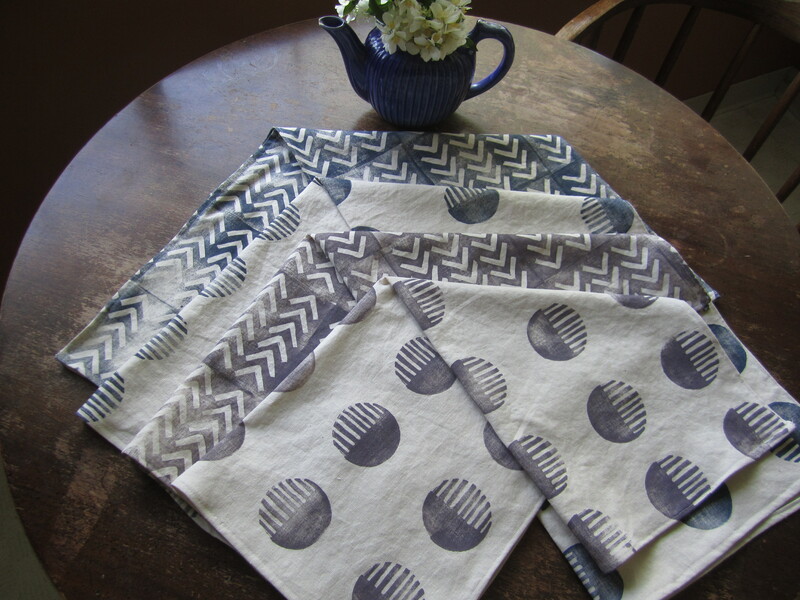 It started with the upholstered stool, ramped up with the two possible covers I made for the Paul McCobb chair, and this week I decided to make some simple, graphic tea towels. I love kitchen linens! 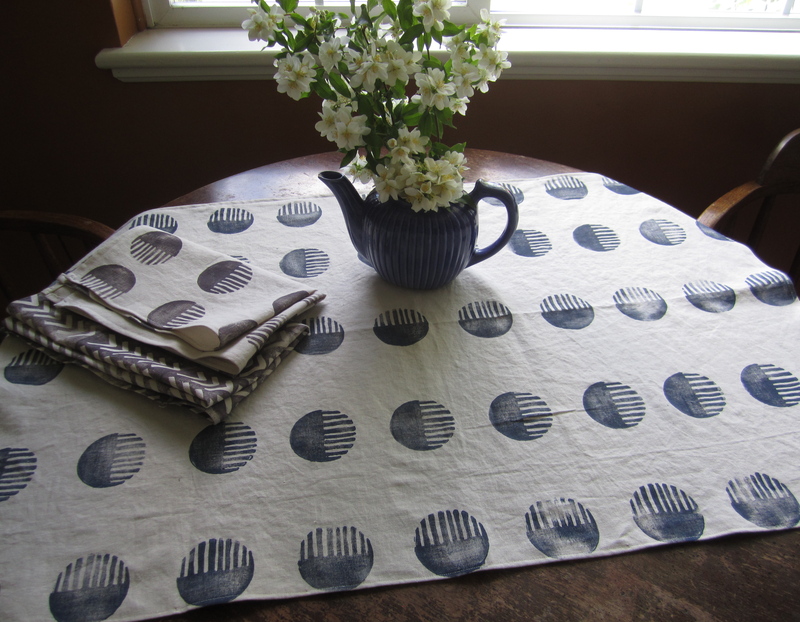 Pretty tea towels or table runners are an easy way to freshen up the kitchen, and they also make terrific gifts. Useful, decorative and, in this case, homemade. *All the supplies marked with an asterix come in a ‘Block Printing Starter Kit‘ that – with one of the 50% off coupons that Michael’s often has – is a good value. The kit also comes with a small tub of black ink. To make the all over ‘v’ pattern, I drew the image in Powerpoint and then printed it out. It would work just as well to draw it up using a ruler on a piece of paper. 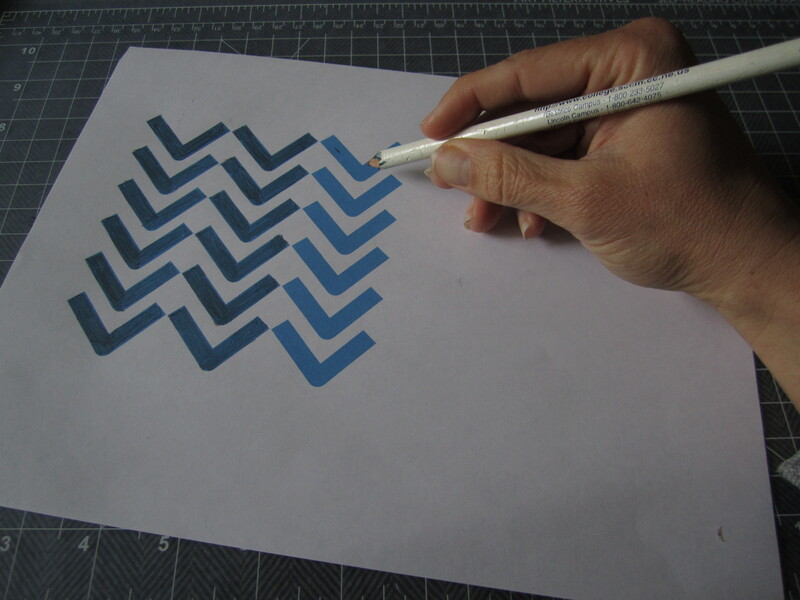 I then colored in the pattern using a pencil. 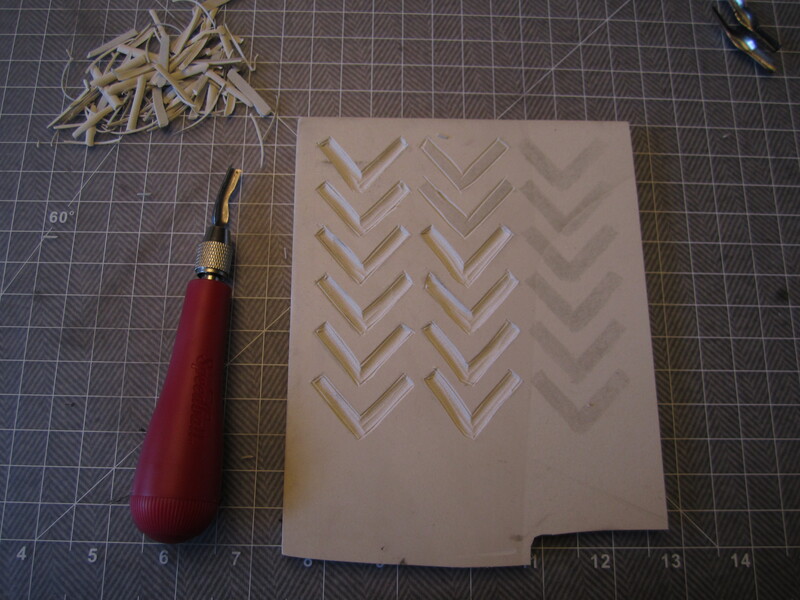 Put your pattern face down on the carving block and transfer the penciled design (I used my library card to go back and forth over the paper and it worked great). To carve the block I used the small v-shaped cutting attachment (a standard Speedball carving tool comes with three attachments) to outline the shape, and then switched to the larger u-shaped one to carve the inside of the shape. It’s important to keep the tool pointed away from you and to keep the cuts shallow (if you hold the handle of your carving tool perpendicular to the block, it will gouge and tear your design). When I finished carving, I used my utility knife to cut off the ends of the carving block so it was a rectangle. I mixed up the colors I used for this project, and I’m afraid I don’t have recipes – I just kept adding and stirring until I had the color I wanted. 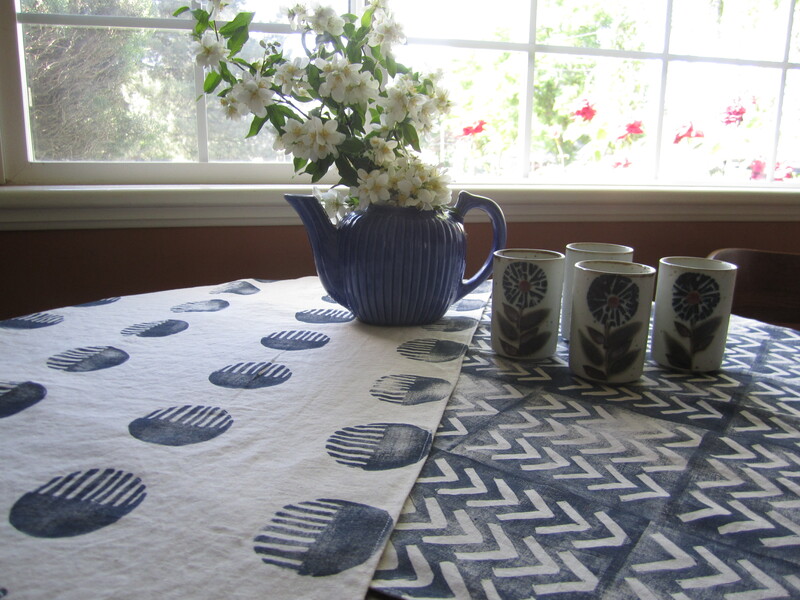 I’ve mentioned her book on the blog before, but Lena Corwin’s Printing by Hand is a great resource for all kinds of fabric design, including block printing. She has many wonderful projects and gives precise recipes for specific colors. Time to start printing! Put a small (about half of a teaspoon) dollop of ink in your tray, and roll the brayer in the tray until it is evenly coated. Next, roll the ink onto your block. If some ink happens to gloop into your design – as it did in mine – just wipe it out with a corner of a paper towel or rag before you begin printing. Do some test prints on your scrap fabric to make sure your pattern is transferring cleanly, and then begin printing your towel starting in the upper left corner. I printed down the column, rather than across the row, but I think either way would work fine. 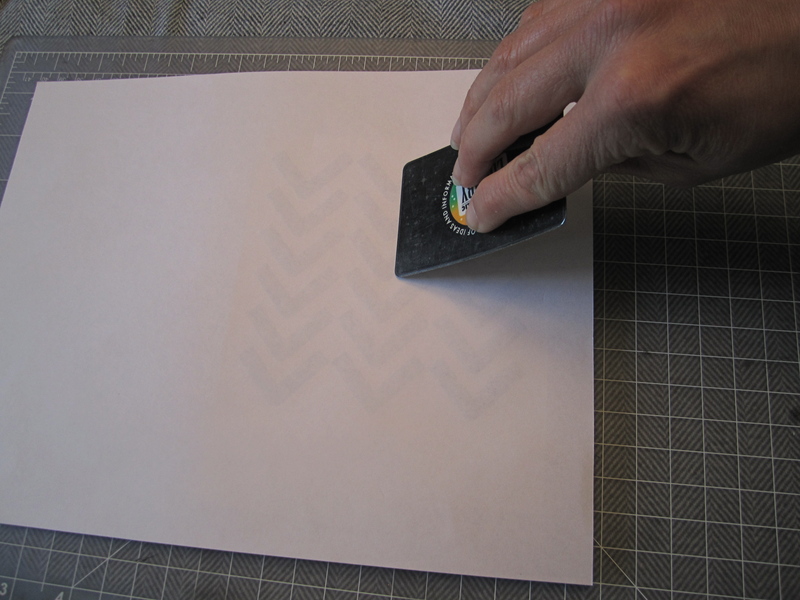 Place your stamp so it overlaps the edge of the preceding print, and apply firm, even pressure. 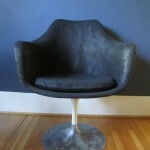 Let your fabric dry and then iron it (no steam!) to set the ink. The color of the ink holds up well to washing, and the towels just get softer with use. For this design I simply traced a circle (using a cup) directly onto the carving block and then drew the lines using a ruler. Ah yes, those cups I got at the thrift store yesterday do look nice with the linens. Please let me know if I can clarify anything about this printing process, and I’m curious – do you have any block printing plans? What do you think would be fun to make using this technique? Please tell us in the comments! Mera and I will be back on Friday with a collaborative post as we try to define the ineffable: our personal styles. Those look awesome Katie! I’d love to do this… is it weird that I feel intimidated by this project? Also, I just bought some thrift store cups recently that look similar to yours! They are about half the size but they look like they would “go” together nicely. 🙂 Yay kitties! Thanks Joanna! And don’t be intimidated! Even the simplest design looks good when it’s printed on the fabric – and the imperfection of the prints is part of what gives it beauty. It would be really hard to completely mess it up, and it’s a ton of fun to play around with. Yay kitties indeed! Carl and Dean don’t know the force of love about to be unleashed upon them. 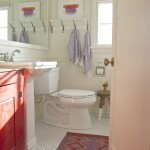 I just love Red House West – just love it. You two are such a treat – funny, stylish, inspiring. Love it. And, of course, those tea towels are wonderful and your directions so clear. Thank you for all! This was such a wonderfully cheerful tutorial to read this morning. I love the way you and Mera make your directions not only so clear, but so desirable. 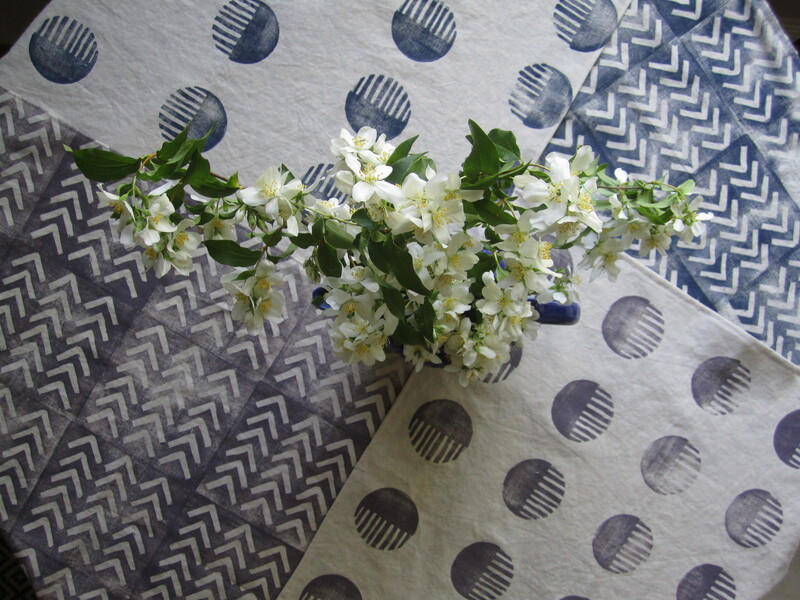 We all want to make tea towels now. Or, at least, we want some of yours. Have a wonderful time cuddling the chubby cats and hanging pictures on the walls of your red house. I can’t wait to read about your personal styles. I’m glad the cheerful-ness translates, Carol, they were fun to make! I block print with lino but have only ever printed onto paper. I love the idea of printing onto fabric so perhaps I will be brave enough to try. 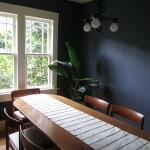 Your table linens look stunning which certainly inspires me to give it a try some time. Thank you! In my experience, fabric is actually more forgiving than paper with printing – maybe because I expect more variation from the texture of the fabric? I hope you do try it! What a wonderful job you have done Katie. Block printing is very close to my heart, although I have to say I don’t have the patience to carve my own. I get blocks from India and I just love it when a delivery arrives as I want to use all of them straight away!. 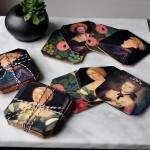 I have lots of videos on my website of craft projects I have done and you are more than welcome to give any of them a go. I would love to see anything you created so please send any pictures. It is always so nice to find another block printer! Hi Katie! 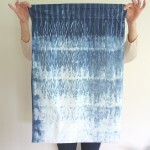 I was searching solutions for block printing and came across your blog post and thought I’d ask for your help. I block printed some canvas totebags with a friend over the summer and had read that we ought to use water-based block printing ink and add extender. That’s what we did. 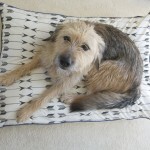 But when I ran one through the wash and took it out, everything had washed away! I have no idea what we did wrong but I noticed you listed screen-printing ink. Does that work? Does it wash away? Is it water based? What brand works best? 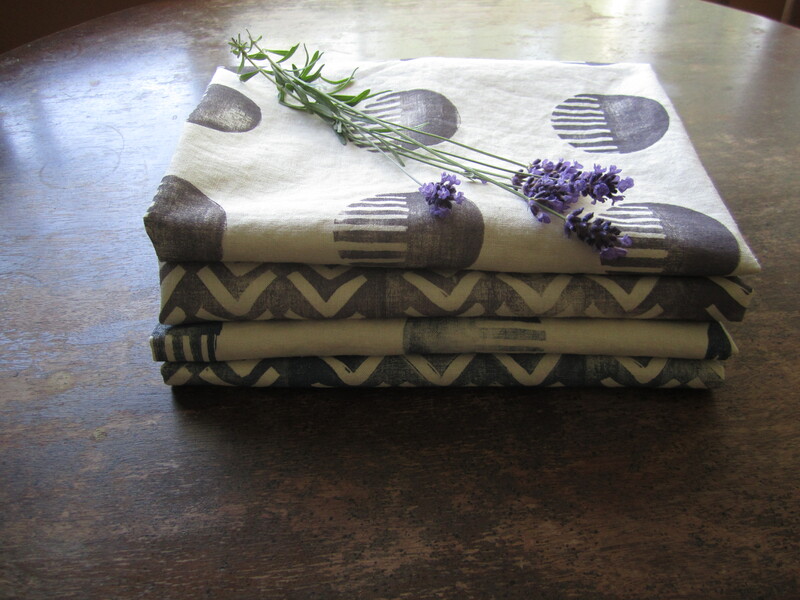 I love love this post!, can you please let me know what type of fabric you used for these tea towels?